2014 is shaping up to be a busy year for the Mighty Vessel Spree. We have lot of recreational trips to the Dry Tortugas, lots of technical training and diving trips sponsored by our technical store clients, and even a couple of research trips now that our government thinks it has money again. We’ll go diving and birding in the spring, diving in the summer, and over to the Bahamas in the fall to Cay Sal Bank for our more adventurous clients. We can’t wait to see you! Yes, we listen to you. Many have asked to change a few trips up for 2014, and so we did. Here are some special offerings for 2014. We have a couple of these this year, including next month (February 15-22, 6 dive days) for $1995, then a tech lite trip August 1-4 for $1,329. We’ve had a number of folks asking for tech diving trips this year, so we have 4 on the books. May 8-11 is Ghost Fleet Normoxic trip With Doppler of Tech Diver Training for $1,995, then in August 6-9 we will dive the wrecks of the Dry Tortugas with Island Divers and Get out and Dive, also for $1,995. Tony Land and Add Helium will be sponsoring our first ever trip to the blue holes of Cay Sal Bank. This trip is designed for rebreather divers, but O/C divers will also be catered to. This trip will run $2,950, and will include sorb and trimix. You’ve heard of Cay Sal Bank, Many of you asked me when we when we were going there, now it’s time to get on the boat and go. We will board in Miami at Miamarina on the 18th at 8 PM. We will transit to Bimini overnight and clear customs in the morning. We’ll dive some of the sites around Bimini/Cat cay (Bull Run, Victory, etc.) for that day, expect 4 dives. Overnight we’ll transit to Cay Sal and dive the sites there, including the blue holes, Cay Sal Wall, Elbow Cay, Water Cay. Tom Guarino of the Sea Fever may join us, that’s part of the deal for me getting all of his mooring numbers. I expect we’ll be installing some moorings while there, so it may be a lot of anchoring and live boat on that trip while new moorings are made up and installed. Expect 5 dives per day on days 2-5. We’ll transit back to Miami on the last night and clear customs inbound the morning of the 24th. This trip is limited to 12 passengers, and costs 2,875. This one is for the true adventurers among you. Yeah, I know it’s during hurricane season. That’s when the weather is best. I study these things, you know. Last newsletter, we gave you a little overview of the Catlin Seaview Survey that we were hired to support in the Bahamas and Turks & Caicos Islands. As many of you know, late fall is not really the time of year to dive exposed reefs over there, but off we went to support our client. Boy did we learn a lot. We also completed our Bahamas inspections and paperwork, so the Spree and her crew are all documented and ready to go back to the Bahamas in 2014. Steve and Mel left the boat mid-charter to fly the Spree flag at DEMA Show 2013. It’s been a long time since I’ve run the Spree without her! Heather and Mike Watt and Man Candy joined in the shenanigans and helped get the word out at the industry’s only wholesale show. Check out our calendar! Lots of Dry Tortugas, a few Bahamas, and a few wrecks thrown in for good measure! “I thought you guys only did: research. This may seem a little silly, but lots of folks don’t know what we really do. There are many misconceptions about us being “only” a research boat or “only” taking technical divers. While we do quite a bit of both, what we’re really good at is taking divers diving for fun to one of the most pristine, rarely dived reefs in the Caribbean. 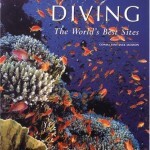 We take groups of friends, dive store trips, dive clubs and individual travelers. Custom charters are available for the asking by anyone who can fill the charter. Regularly scheduled Dry Tortugas trips are available for folks wanting to get away without planning anything except how many t-shirts to bring. 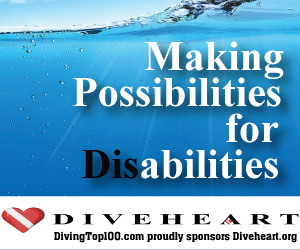 So pass the word, bring your friends, and come diving with us in 2014! Just beyond the end of the road! passengers. 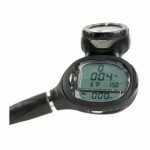 Nitrox is included for nitrox-certified divers. 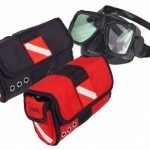 Dives are conducted from the Spree–just don your gear and step off the side! You can explore the reefs and wrecks at your own pace without a dive guide hurrying you along. Our 3-, 4- and 5-day charters to the Dry Tortugas Ecological Reserve offer opportunities to dive and photograph the protected reefs of the far western edge of the Florida Keys National Marine Sanctuary, 70 miles from the beautiful island of Key West, Florida. We also offer unique destination charters and select technical charters throughout the season.